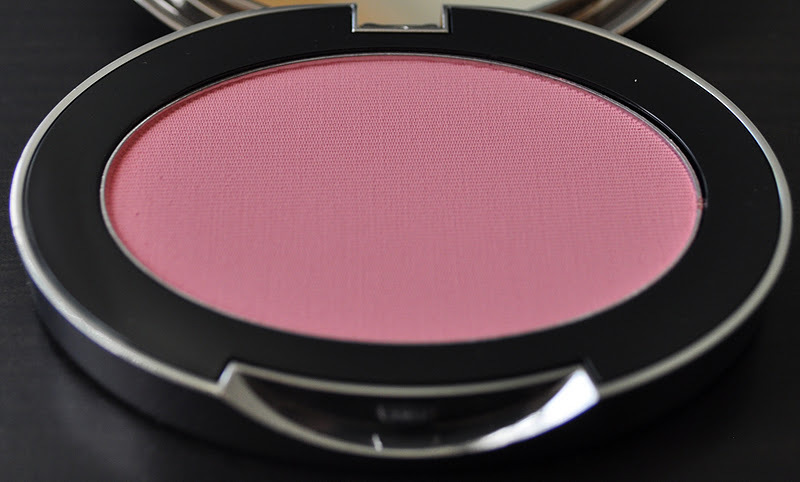 First up, Tarina Tarantino's Dollskin Cheek Palette. This palette includes four blushes: Feather, Parasol, Carved Rose and Candy Cameo. Candy Cameo is the only shade exclusive to the palette; the other three are available for individual purchase. This palette retails for $45.00 with .12 oz/3.5 g of product per blush. From left to right: Feather, Parasol, Carved Rose and Candy Cameo. Feather: A soft peach pink sheen. Parasol: A medium toned pinkish coral sheen. Carved Rose: A cool toned vivid pink matte . Candy Cameo: A blue based pink shimmer. 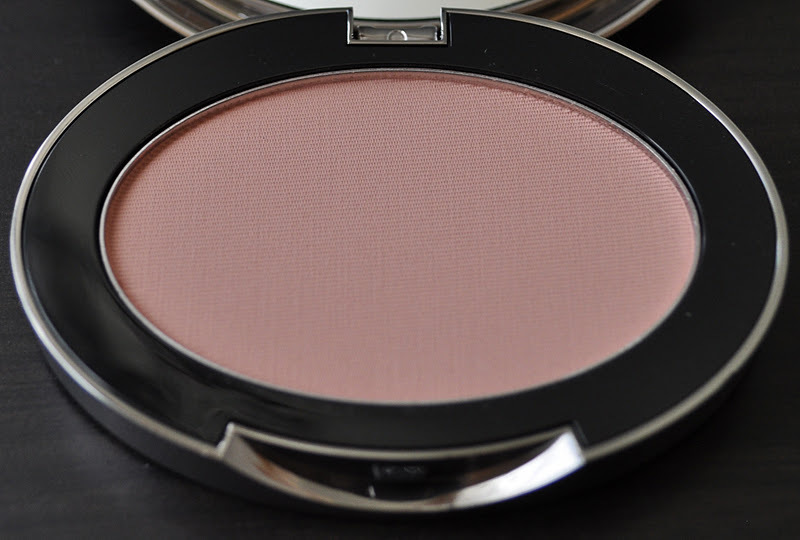 Next are the Dollskin Cheek blushes in Charm and Neapolitan Lane. 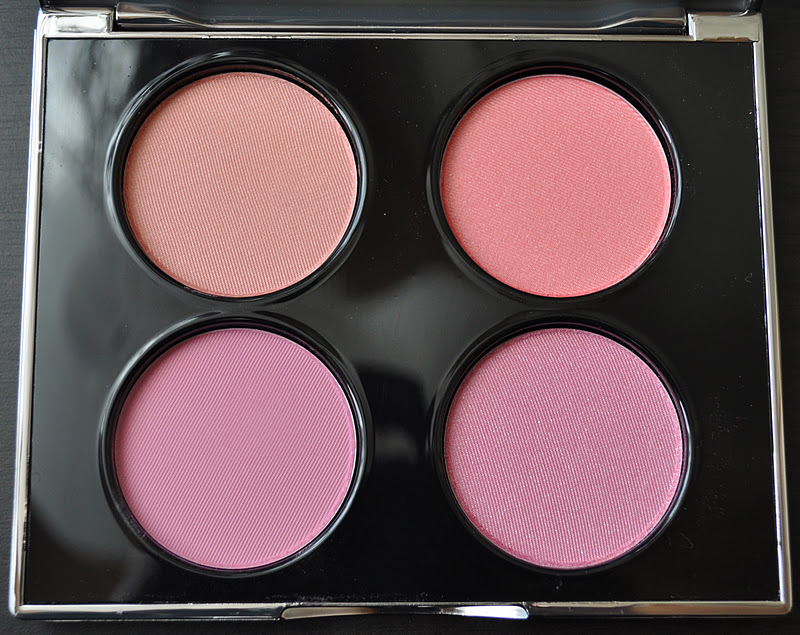 These individual blushes retail for $25.00 with .2oz/6g of product. From left to right: Neapolitan Lane and Charm. 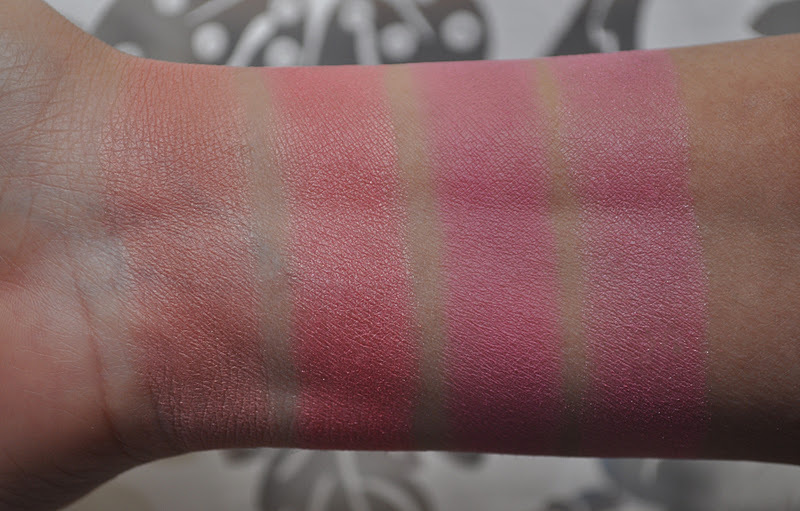 Neapolitan Lane: A muted medium pinkish brown matte. Charm: A medium toned rose pink matte. Have you tried any of the Tarina Tarantino Dollskin Cheek Blushes? Definitely check them out next time your at Sephora. Those blushes go the distance on my cheeks. Sadly, no Sephora in Tokyo or Japan for that matter. Discrimination I say!!!!! I am so tempted but I have so many blushes to work through... I was in a sephora yesterday to pick up a gift. I was so scared I might get distracted I covered my eyes and went straight to the perfume isle, grabbed it and checked out! The little minis at the counter almost got me. x.x Tricky sephora! Wow, such willpower, I don't know how you do it. I wrote about those evil minis at Sephora in my review of Fresh's Soy Face Cleanser. Curse you Sephora, a 1,000 curse on you!!!!! Do you prefer these or tarte's blushes? We have a verdict! 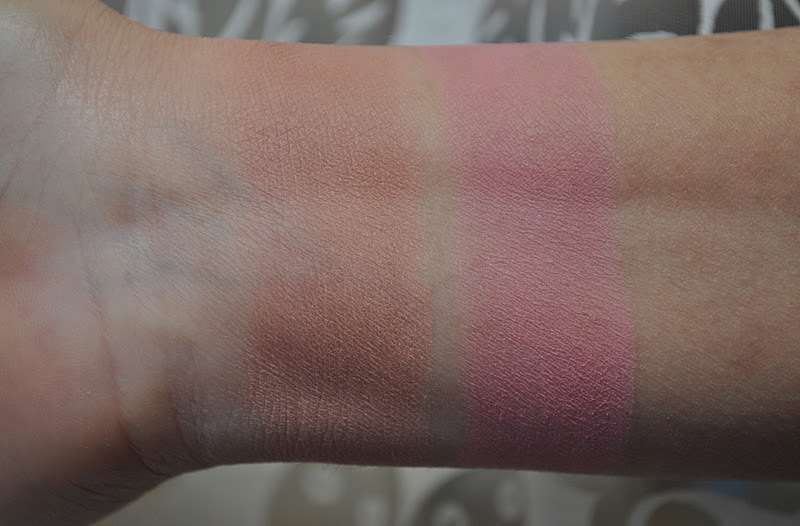 although I love the Tarte blushes (swatches coming :D), the Tarina Tarantino blushes are a bit smoother and a bit more pigmented. Wow! This is one time when I have something of yours in my stash! I have the Dollskin Cheek Palette and Neopolitan Lane. The formula is wonderful, except for Candy Cameo (which I gave away). We probably have a lot of the same things in our beauty stash. My goal (which I'm failing at), it to swatch and post everything I own, old and new. 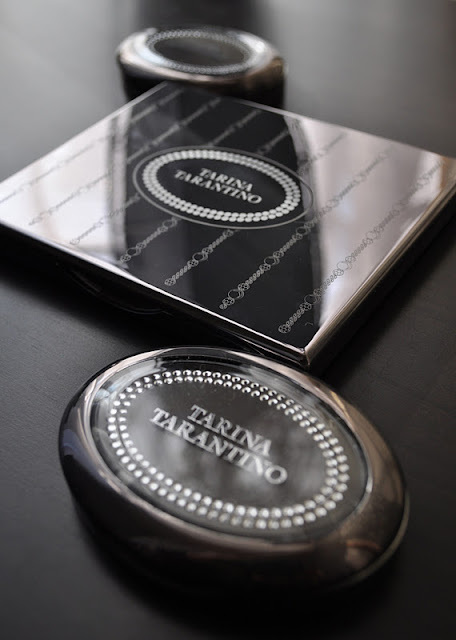 I love Tarina Tarantino's beauty line and I'm glad it available on the brands website and now in Tokyo.